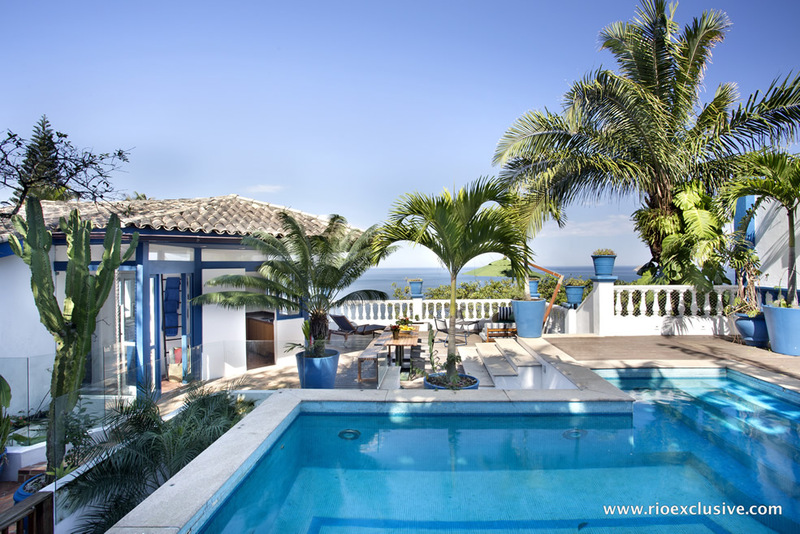 This luxurious and inspiring 4 bedroom Sao Conrado villa provides privacy, security, fantastic views and stunning design all within a short drive to the rest of Rio de Janeiro. 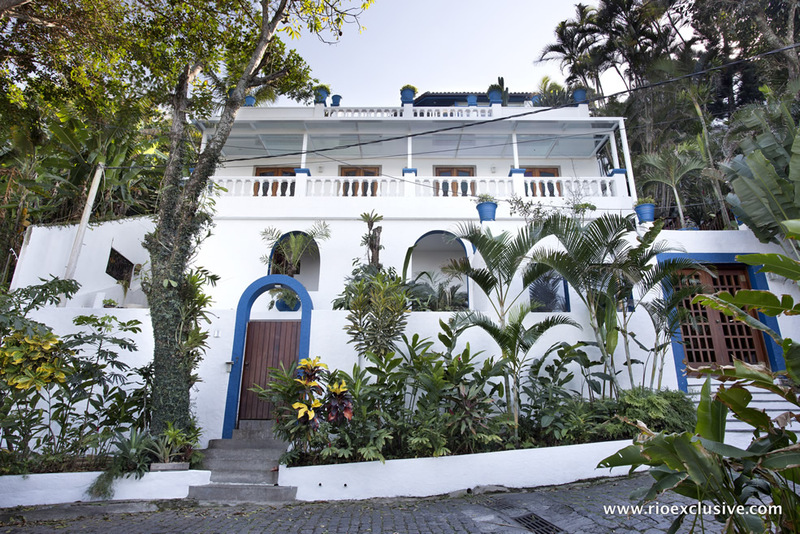 Designed by the architect Fernando Portugues for the famous Bossa Nova star Elis Regina you will be staying in a treasured piece of local history. 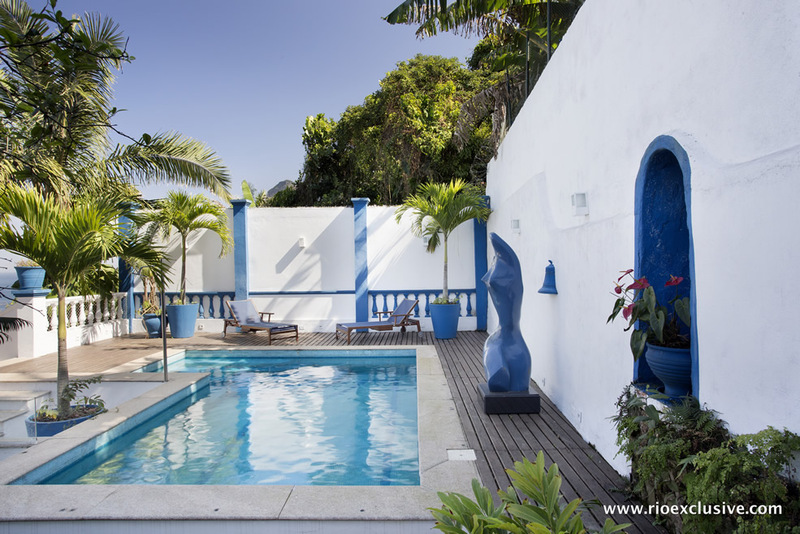 This luxurious and inspiring 4 bedroom vacation villa in Sao Conrado provides privacy, security, fantastic views and stunning design all within a short drive to the rest of Rio de Janeiro. 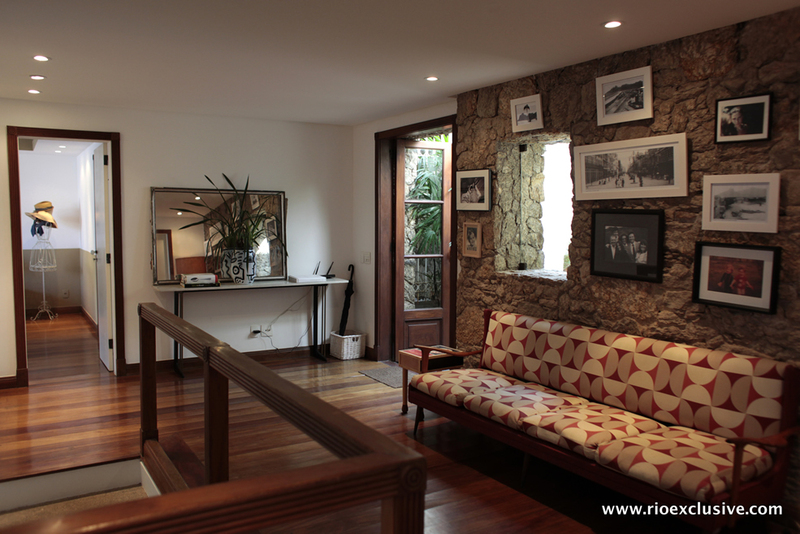 Designed by the architect Fernando Portugues for the famous Bossa Nova star Elis Regina you will be staying in a treasured piece of local history. 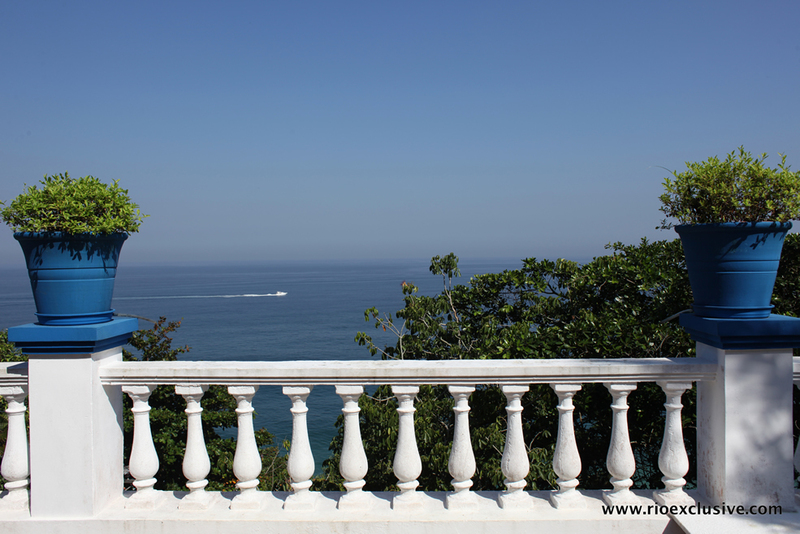 Driving to the property you will be able to take in the brilliant coastal views along Avenida Niemeyer. 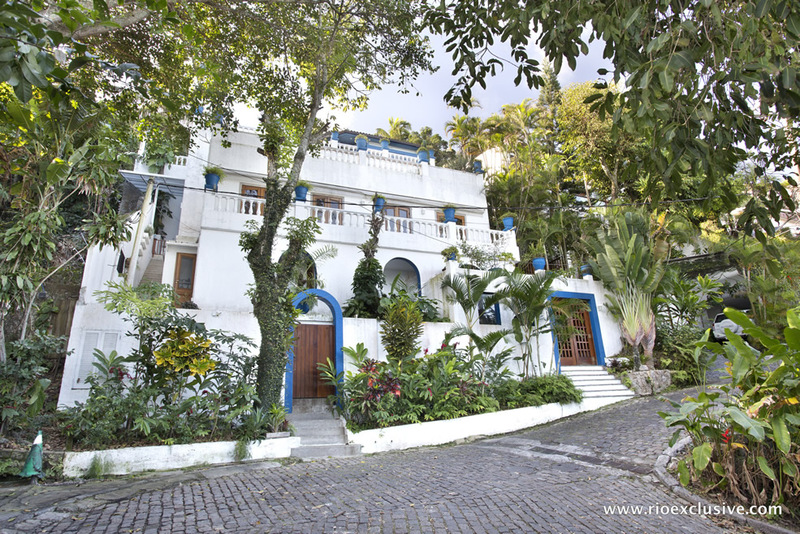 As you turn up towards the estate you will pass through a charming cobblestone road brimming with beautiful tropical plants and all the natural beauty that has made so much of the world fall in love with Rio. Entering the property itself you’ll be taken aback by the startling beauty and elegance of the main room. 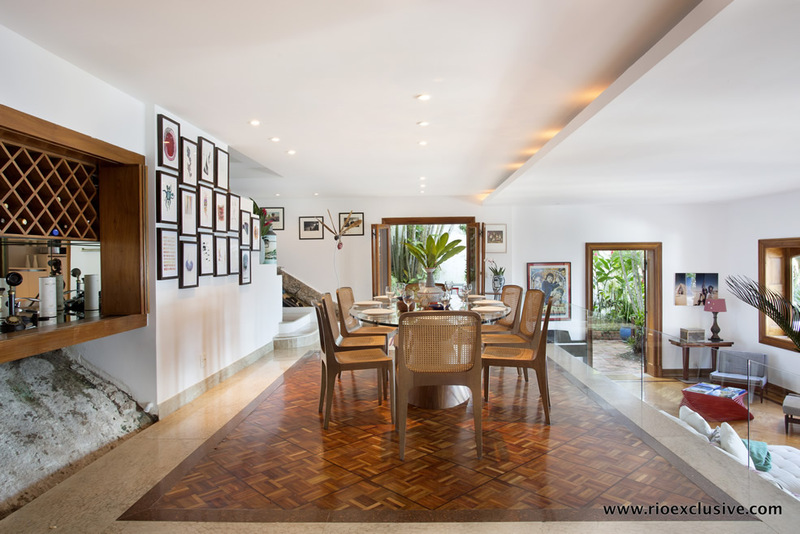 The living area is well lit by natural sunlight and is equipped with the finest luxury furniture, a piano, modern entertainment center and a fantastic mix of original art work. 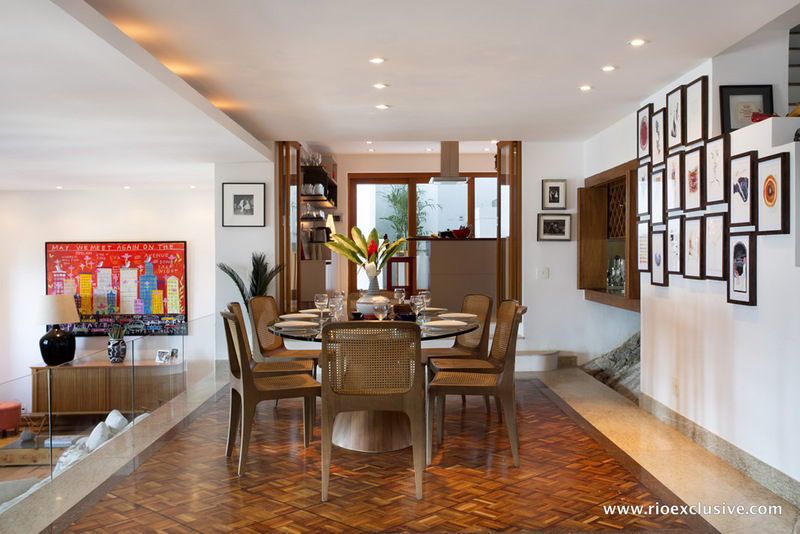 The dining area is elevated on top of a beautiful marble and wood floor next to the living room. 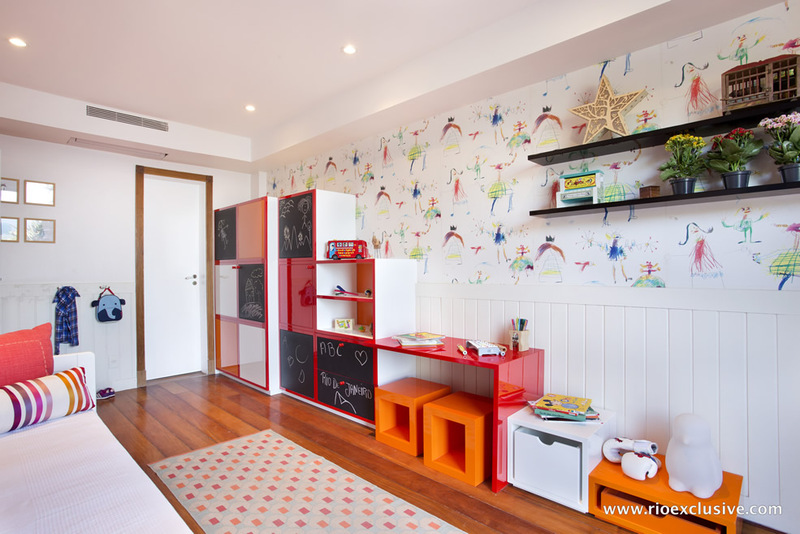 It seats 6 and the property comes with an extensive selection of the finest dining wares and dish sets. 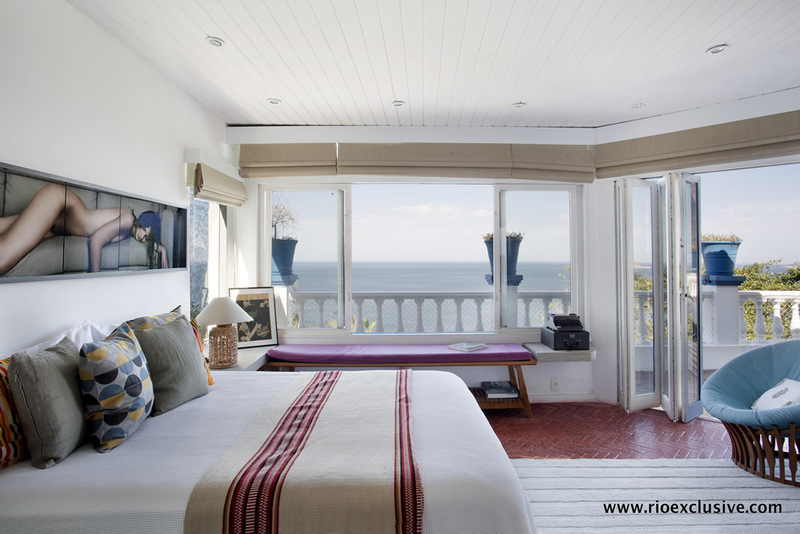 All 4 bedroom suites have large, comfortable beds perfect for couples. 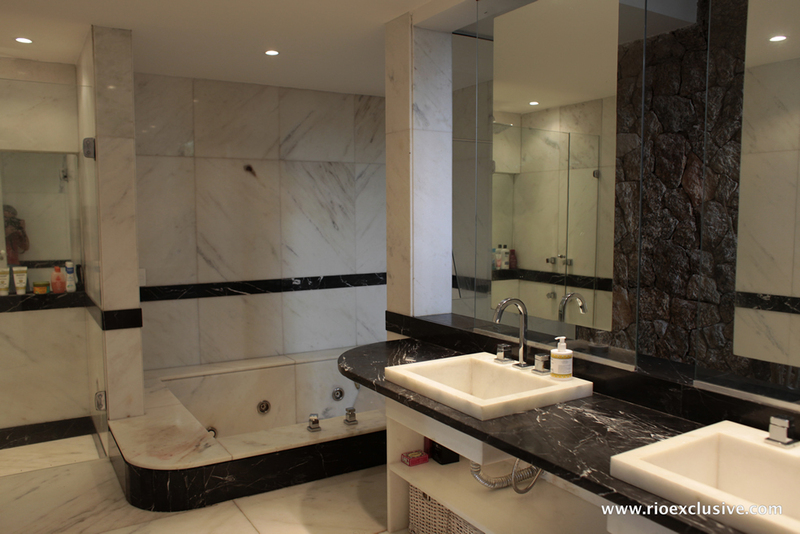 Each has its own private en-suite bathroom with the Master suite having the largest and most luxurious. All rooms share access to a terrace with a great view. 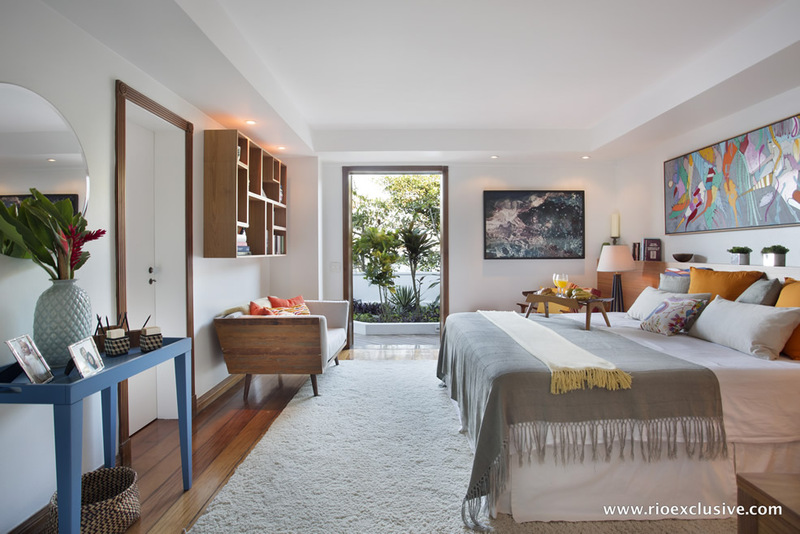 Every room is equipped with a strong and efficient air-conditioning system to ensure you can sleep in cool and relaxed comfort after a long day in the Rio sun. 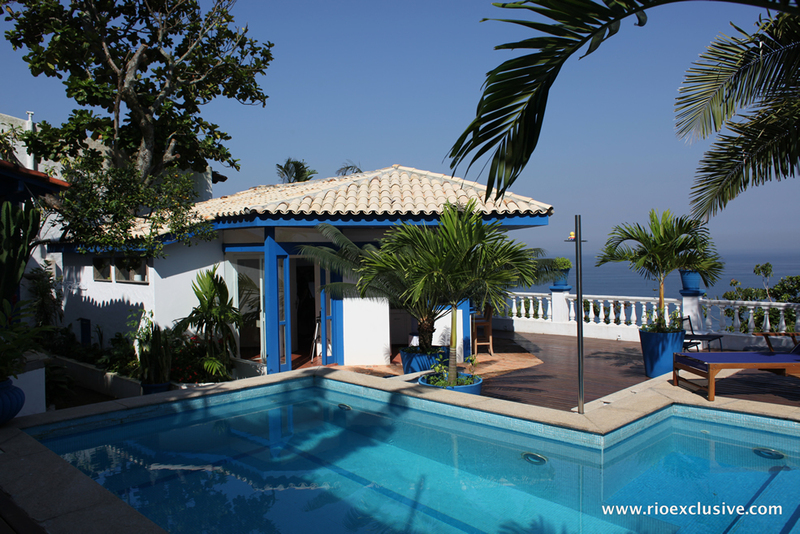 The top floor contains some of the properties most fantastic views alongside a huge pool, barbecue, shower and bar. 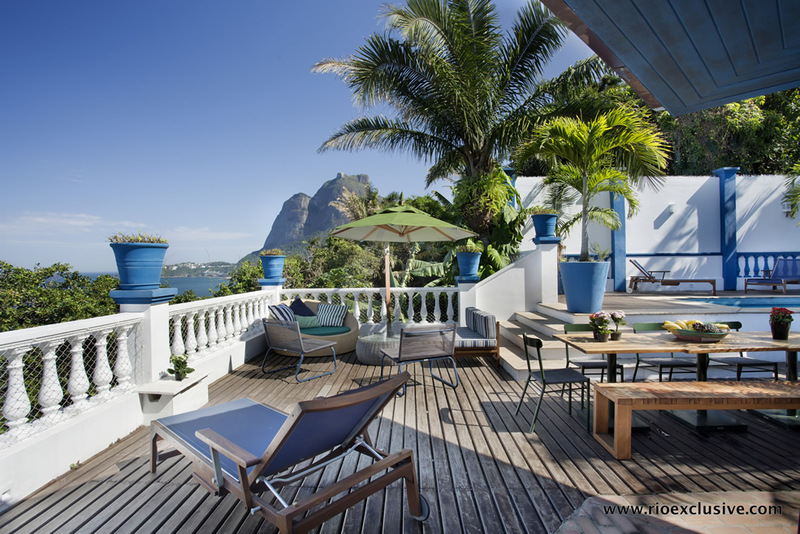 Comfortable lounge chairs are set out for you to relax in the sun or shade and enjoy a fantastic view of Sao Conrado beach. 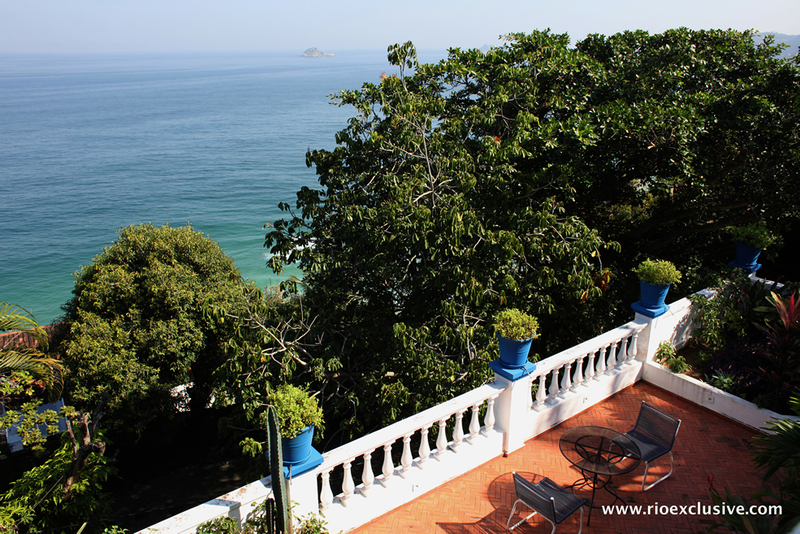 With gardens of tropical plants, surrounded by the natural forest and with a ocean view you’ll be immersed in all the beauty of Brazil. The pool and barbeque make it a great sight for throwing social events and inviting friends over to enjoy the property with you. 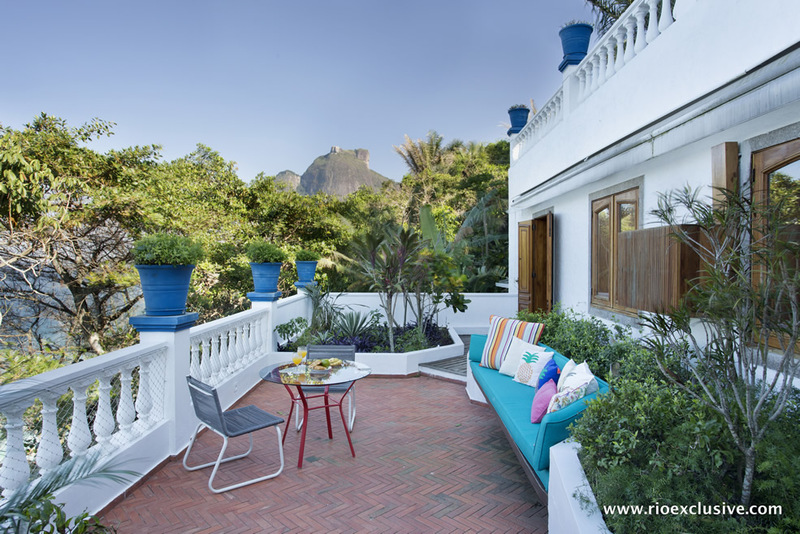 With your own bar and the staff assistance which Rio Exclusive is ready to offer you’ll have no trouble turning the top floor into a fantastic private retreat for you and your invited guests. 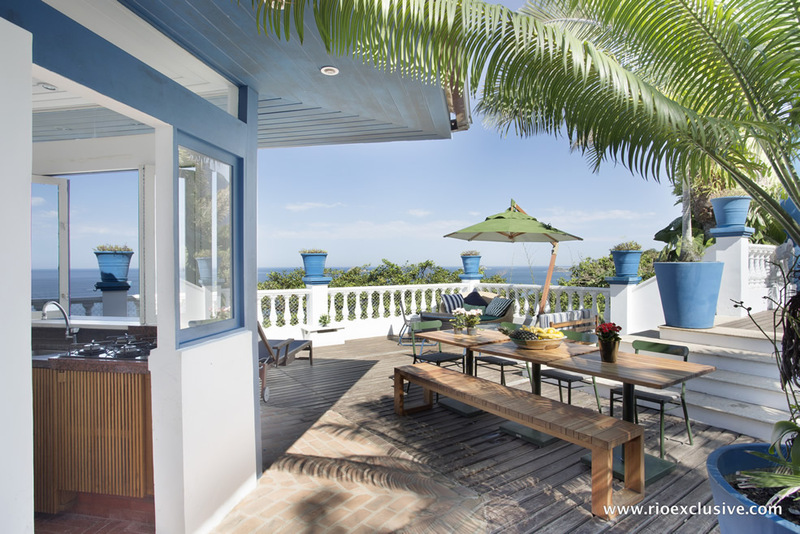 This estate comes with a daily maid service from our in-house team, a tropical breakfast prepared by our team of private chefs each morning, an on-site gardener/handyman and the services of a nanny if requested. 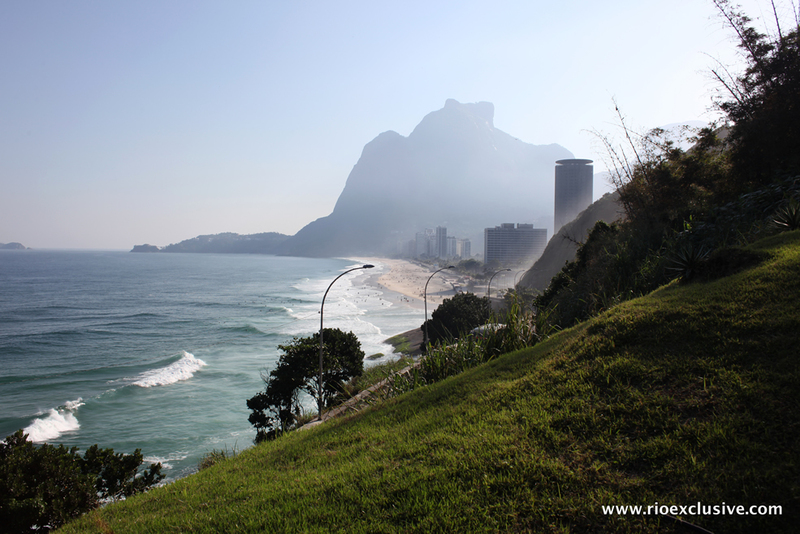 We are also ready to organize all the additional services and support you could want for your luxury vacation in Rio de Janeiro.